First place. Gold medals. Big trophies. That's your life if Castellius I inspirits you. But with great power com great...ness! 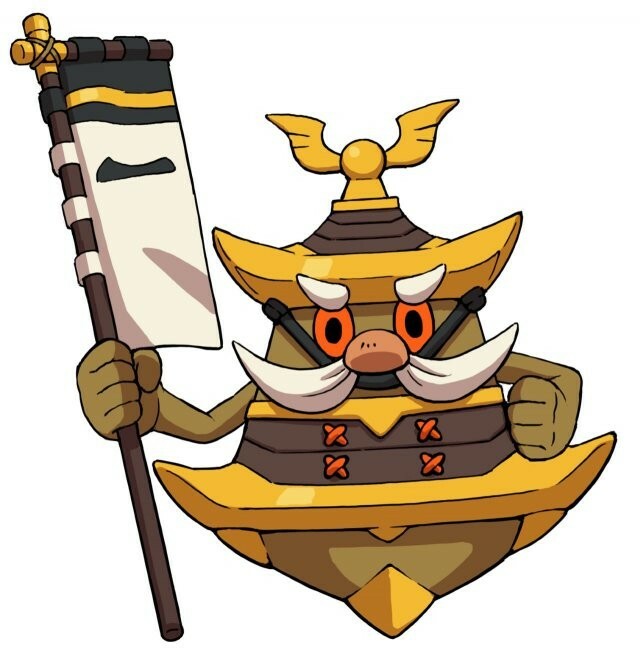 Yo-kai Medallium Bio: First place. Gold medals. Big trophies. That's your life if Castellius I inspirits you. But with great power com great...ness! Tying with it's evolutions, Kinkaku translates to "Gold Pavilion" (Japanese: 金閣, Kinkaku). The appearance of Castelius I (as well as its Japanese name) refers to the Kinkaku-ji ("Golden Temple Pavillion"), a Zen Buddhist temple in the Kita-ku ward of Kyoto, Japan. Originally sited on the grounds of a villa owned by the family of statesman Saionji Kintsune, it was purchased by the shogun Ashikaga Yoshimitsu and converted into a temple after his death. Officially called Rokuon-ji ("Deer Garden Temple"), the "Golden Pavillion" name refers to the lavish gold leaf finish that covered its three-story structure, up to the roof topped by a bronze phoenix ornament. The inside of the temple was also furnished with a statue of Yoshimitsu and a variety of paintings.